Do you want to learn art or develop your art skills, but don’t have the budget to enroll in an art class? You can still study art without having to spend anything; well, of course, aside from the art materials that you would need. There are several sites that offer free tutorials and courses that you can take advantage of. If you have a computer with Internet connection at home, you can start studying anytime. Since they are readily available online, you can study at your own pace. Here are some of the best sites to check out to learn art for free. Searching for the information you need as an artist can be difficult and time consuming. Even with the help of search engines, you still need to go through various sites and articles to find what you need. RTR Atelier aims to resolve this concern. This site was created by the collaborative effort of various artists for other artists, both beginners and professionals. All the vital information and tutorials on drawing and painting can be found here. There’s also the Beginner’s School that contains step by step tutorials with videos and texts, which new artists would find very helpful. If you have more questions, there’s a submission form that you can fill up, so the artists can answer your concerns as soon as they can. Once you get better with your craft or you find information that’s worth sharing, you may also contribute to the site and do your share. There are free lessons in a variety of topics including drawing, painting, digital art and art fundamentals. Each lesson is explained and there’s also a video to accompany them for better understanding. There are also lessons that are only accessible for members. Getting a membership costs $37 per year or $3.08 per month. Aside from the exclusive member videos, you can also join Live Sessions, as well as download the video tutorials without advertisements. However, membership is optional since as mentioned, there are several free tutorials that you can use on the site, even if not a member. Learn from the step by step tutorials that come with illustrations to better visualize the process. Choose from the many art lessons and design lessons available for free. Some of the subjects to select from include still life lessons, drawing portraits, perspective drawing, drawing animals and portrait painting. Aside from developing your skills, the site also aims to enhance people’s appreciation of art. Under art appreciation, you’ll have access to art history timelines, gallery, art movements and works of various artists. Learn information on colors, drawings, oil and acrylic on the site, as it contains a collection of videos and references on the subjects mentioned. While videos of complete art courses can be downloaded for a fee, there are also free videos available on the site, though they are only limited in number. Click the “free videos” option on the site’s main menu and you’ll get a list of all the free videos. These videos are for acrylic painting. So if you’re interested in this area, you’ll find these tutorials very useful. 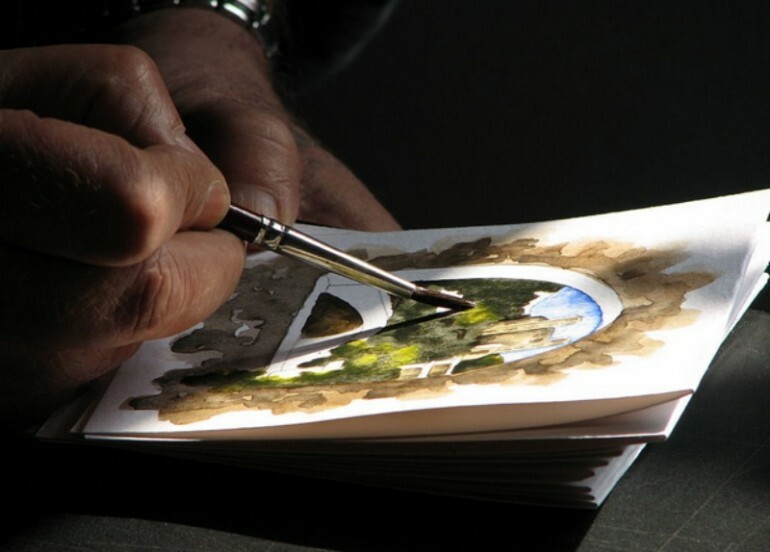 The lessons include still life painting of a cherry and jug, landscape painting techniques and palette knife painting. 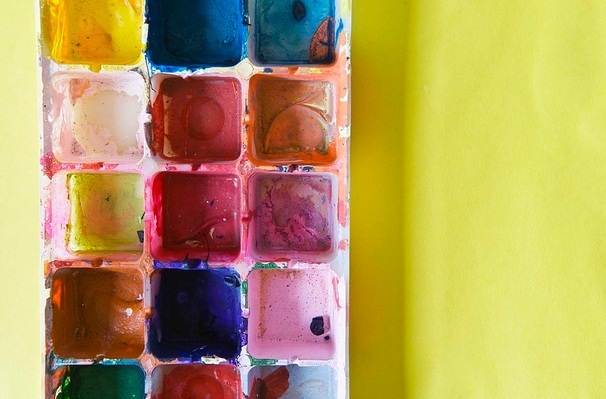 If you prefer watercolor as your medium, this site is for you. It offers several lessons about watercolor painting for various skill levels. From beginners to those with advanced skills, there’s something for everyone to learn. Topics also vary, including watercolor brushes, palettes and perspective primer. Step by step illustrations and explanations are provided in each lesson. Get expert tips and instructions about painting and drawing for free. Some of the lessons come with illustrations, while others with videos. Under drawing basics, you’ll find links to learn more on basic shapes and form, drawing the eye and ellipses. Basics on color palette, form structure and masking fluid are some of the topics under painting basics. There are also lessons on the basics of colors and anatomy, which are vital when learning how to paint and draw. These are six of the best sites online where you can get free art lessons and tutorials. Check them out to enhance your skills without having to enroll in an art class. If you have more questions about the free art lessons that you can find on the Internet, don’t hesitate to contact us. Our support team is always ready to help.